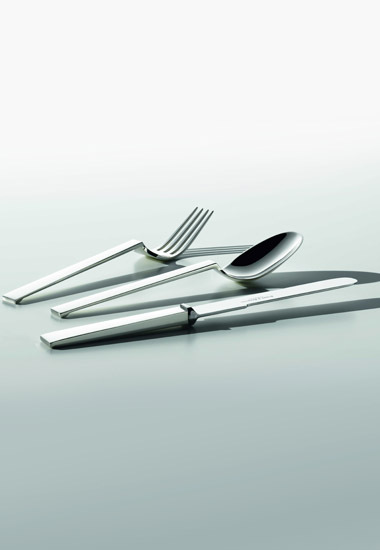 Sphinx represents cutlery of almost breath-taking, cool beauty, the design of which is based on the Bauhaus principles. The aesthetic highlight is the interesting arch leading from the handle into the mouthpiece. This is silver cutlery of incomparable character.